Samsung Galaxy Note 7 is set to hit Europe on September 2nd, two weeks later than its launch in the United States. If you’re based in the UK and want to grab the Galaxy Note 7, you’ll be able to pre-order it through Carphone Warehouse in the UK. The handset’s best deal comes from Vodafone and costs £42 per month for two years. Customers pre-ordering the handset before August 30th will be able to get a free Gear VR from the company and will have guaranteed delivery on September 2nd, the launch date of the handset in the UK. Other carriers will have deals up for the handset as well and we’re hoping they are going to be attractive. 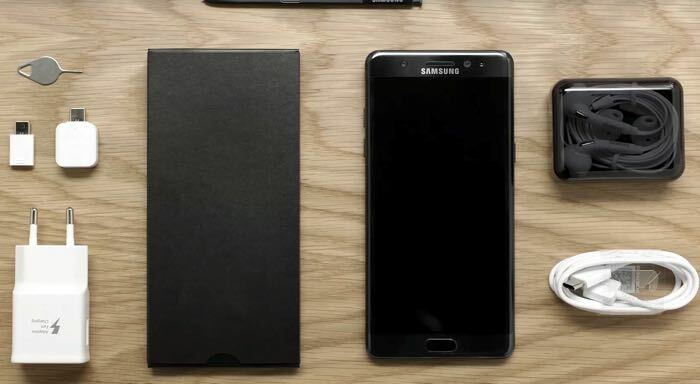 As a quick recap, the Samsung Galaxy Note 7 comes with a 5.7-inch display sporting a resolution of 2560 by 1440 pixels, a Exynos 8890 processor paired with 4GB of RAM and 64GB of internal storage. There’s a 12MP camera for photos and videos, a 5MP front-facing camera, a 3,500 mAh battery, 4G connectivity and ships with Android 6.0 Marshmallow pre-installed out of the box. Additionally, there’s an Iris scanner on board as an added security measure as well as water and dust resistance. Anyone interested in picking up the Galaxy Note 7? Sound off in the comments below.